The casting news continues to reveal new members of The CW's 'Riverdale' gang based on the characters from the Archie Comics! 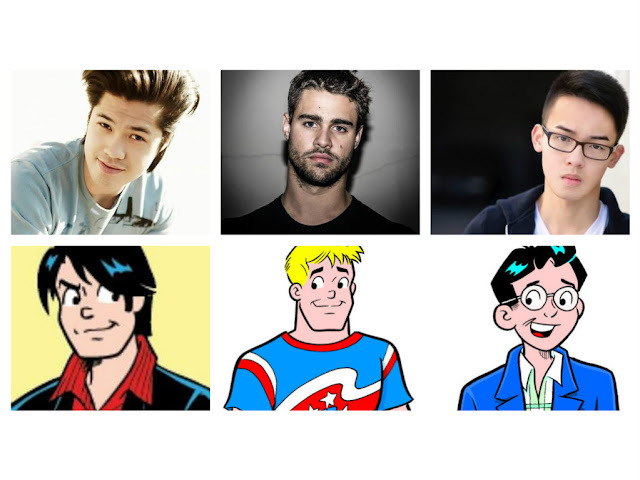 Ross Butler will play Archie's rival Reggie Mantle, Daniel Yang has been cast as the brilliant Dilton Doiley, and Cody Kearsley will be portraying Riverdale's resident jock Moose Mason. The news follows the casting of Archie (KJ Apa), Betty Cooper (Lili Reinhart), Veronica Lodge (Camila Mendes), Josie (Ashleigh Murray), Fred Andrews (Luke Perry), Jughead Jones (Cole Sprouse), Cheryl Blossom (Madelaine Petsch), Alice Cooper (Mädchen Amick), and Hermione Lodge (Marisol Nichols).